Problems with Windows Live Photo Gallery 2011? 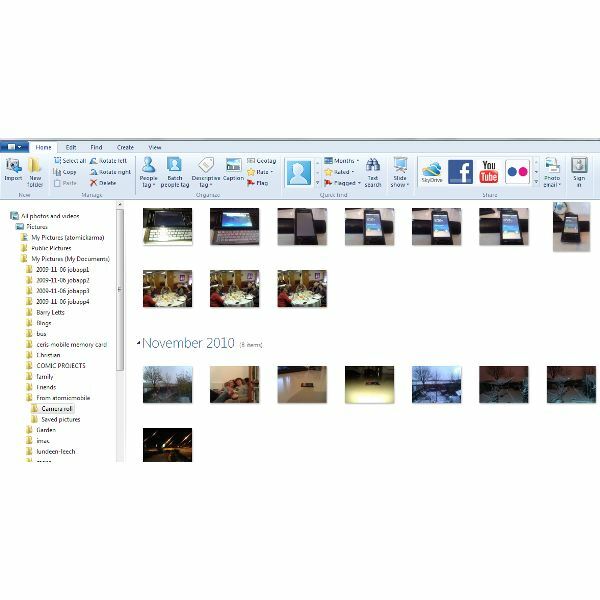 Coming as part of Windows Live Essentials 2011, Windows Live Photo Gallery 2011 is a well-organised and feature-packed digital image management tool that allows you to arrange your digital photos into galleries and share them with friends and family. Minor editing of your images is also available via this free application. Using the application is pretty intuitive, with clearly marked icons and tools across the ribbon menu. However occasionally you might run into problems with the application, notably ones that prevent the application from running at all, although you might find that you can edit images but not view them in the gallery. Let's look at how these problems might be fixed. The first thing you need to check is that you have Windows Live Photo Gallery setup correctly on your PC or laptop. For instance while the app itself might be correctly installed, the problem might be that because it is not configured as an associated application for your image files, the gallery software will stop working. This problem can first be investigated via Start > Default Programs > Set Default Programs, where Windows Live Photo Gallery is listed. If you select the software in the left-hand column, you will see how many defaults are listed. Using the Set this program as default you can use Windows Live Photo Gallery to be the default choice to open all image files, while the Choose defaults for this program option will allow you to specify which image file types should be opened with Windows Live Photo Gallery as the default application. For instance, your problems with Windows Live Photo Gallery might be because PNG files are associated only with Microsoft Paint. Changing this should resolve the problem. Another way to fix the issue might be to regenerate the Windows Live Photo Gallery database. This is a useful general maintenance tip for this application, and is easily performed. if you are using Windows XP). Click OK, and the required folder will open. The next step is to find any instance of the files "OLD_Pictures.pd4" and "OLD_Pictures.pd5" and delete them. Once this has been done, find "Pictures.pd4" and "Pictures.pd5" and rename them to "OLD_Pictures.pd4" and "OLD_Pictures.pd5". With these changes made, close the folder window and restart Windows Live Photo Gallery; the database will regenerate, enabling you to use the application as intended once more! Windows Live Photo Gallery Stopped Working – Does it Work Now? The fixes listed here should resolve the majority of operational difficulties with Windows Live Photo Gallery – but they cannot be considered a comprehensive selection of solutions. You might also find that although you're using Windows Live Photo Gallery, you're not using it to the best of its abilities. As such, you might like to try following our guide on how to use Windows Live Photo Gallery, which should help you out with using the wide selection of editing and upload features that the software offers.